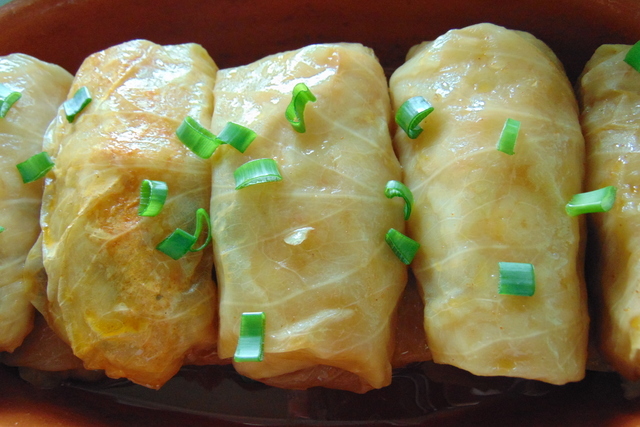 Stuffed Cabbage rolls or more popularly known as Sarma is a local Serbian dish in Serbia. 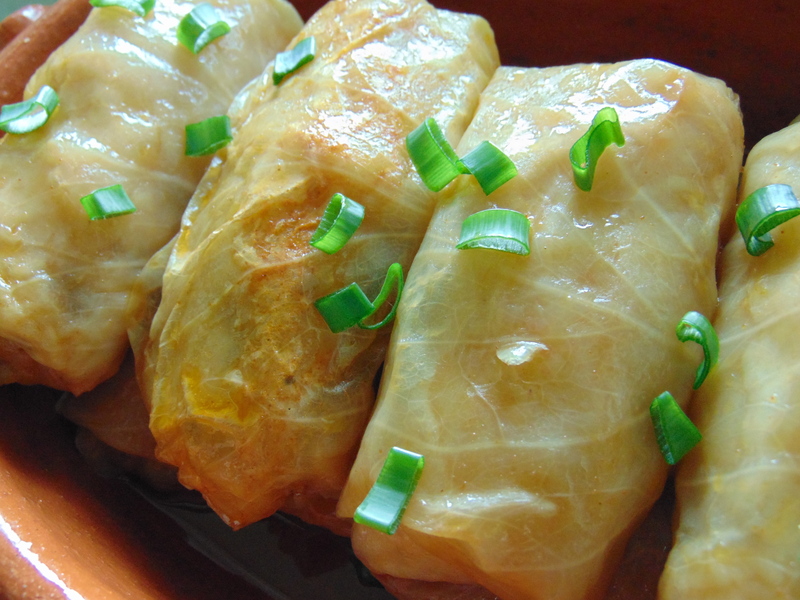 There is a wide variety of recipes for sarma out there with different ingredients for the filling, different way of cooking, etc… It can also be made with fresh cabbage or sauerkraut leaves. Today, I made these rolls with a stuffing of rice, mushrooms, lots of minced onions and scallions. Grated or minced carrots are also good and basically whatever you have in your pantry which you think will not ruin the recipe. Yup, I’m no follower of recipes to the letter especially for meals. I usually change recipes to my liking or to whatever ingredients are available at the moment. 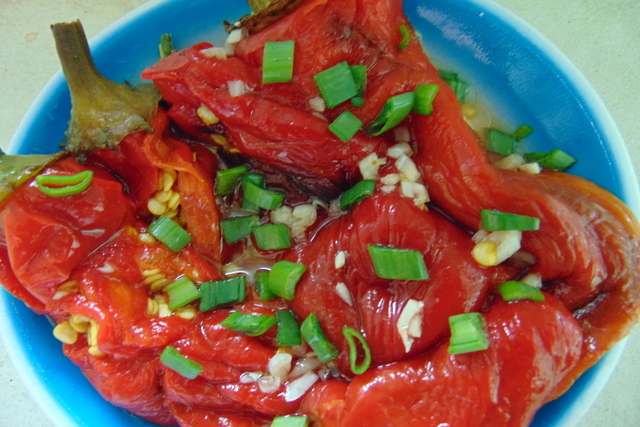 I prepared the rolls and simmered it at a very low heat for hours. Some prefer to bake it but I do prefer to just leave it on the stove for hours. 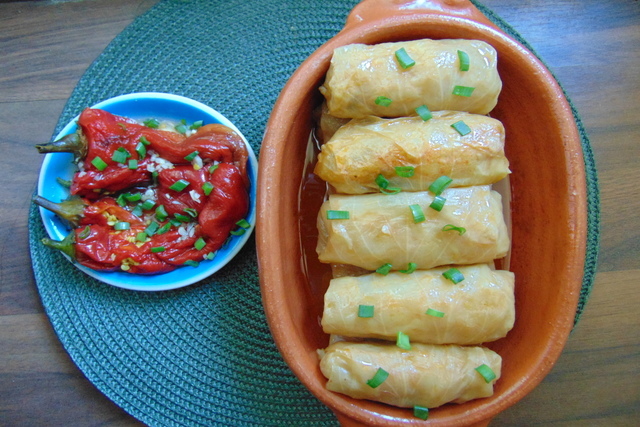 A side dish of grilled paprika soaked in salt, olive oil and vinegar overnight is a perfect combo to this authentic serbian sarma.